Lee Seohwa Dec 11 2018 10:17 am The best swordsman of Joseon, Muhyul Warriors <3 I hope he reunite with Song Joongki in the next Korean Drama again! lol Mar 10 2018 4:08 am i was convinced that if he ever was an actual detective, his spirit would be of like lee jae han - very commited and devoted to what he loves doing. i actually am captivated watching him on signal! i know this sounds like...weird and all i actually don't have any affinity for actors/actresses that are older, but he's one of the few that i do enjoy watching. Jherad May 29 2017 9:54 pm Phenomenal actor with great diversity! Never disappoints and I wish him the best in all of his future endeavors. Loved your performance in Signal! gasenadi Dec 17 2016 4:44 pm Have followed Cho Jin-Woong since the first time I saw Chuno and loved his portrayal of Han-Soem-ah. In every other movie and/or drama, he has impressed with the mastery of his craft. Am soo looking forward to the rest of his work. And a Signal 2, hopefully. can Nov 16 2016 12:26 am One of Korean actor who has wide spectrum of acting.. He can do all evil, kind, mischievous, charismatic, timid, etc character on movie/drama. My fav character of him is when he's on A Hard Day, Nameless gangster, Hwayi, An Ethics Lesson, Signal, Tree With Deep Roots, My Love My Family. Versatile actor! Best! Whitehead Nov 12 2016 7:56 pm Excellent actor! Ingyin Jul 07 2016 9:46 am In A Hard Day,he's really scary and I recognize him as an excellent actor.After that,I saw him in Signal again and now I love his acting.In running man he's friendly.I like him. Tqz1 Jul 06 2016 9:07 am An excellent actor ! Sapphire May 01 2016 3:44 am This guy really moved my heart through his acting from the drama, Signal. Zara Apr 30 2016 11:21 am Real good actor. Deeply impressed....by his great acting in Signal. kai Mar 28 2016 5:16 am Lee Jaehan gyeongri-nim! 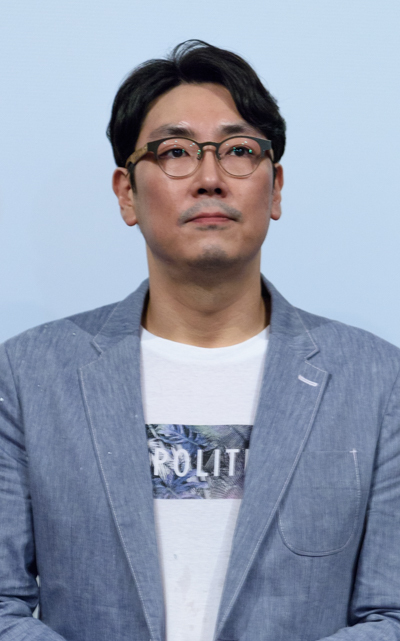 He is the most evil villain on A Hard Day, and the most heart-melting detective on Signal. Whatever he does, as a bad one or a good one, he is all out. That's what man supposed to be. sheila Mar 25 2016 11:07 am I'm watching signal now, and I couldn't help but look you up so I could praise you...lol. You are such a brilliant actor, the way you cry and show your emotions...wow! Your facial expressions and gestures are so on point too! I'm definitely a huge fan now. Keep up the good work! doctorzais Mar 16 2016 12:44 am He takes his acting seriously and it shows. One of the best. Migthy Thor Mar 13 2016 9:06 am Brilliant Versatile Actor! One of the BEST !!! Chloe-USA Feb 04 2016 3:52 pm Loving your role and loving the depth of your talent....felt the urgency and devastation you were going thru...I can see why Det. Cha felt for Det. Lee...your portrayal of his sensitivities, kindness and tenderness captures many a gentle-women's heart!!! You are a"Wow!!" talent!!!!!!!!! Bravo! Will continue to watch for you!!! CR Buffalo NY Jan 27 2016 3:43 pm Award-worthy performance in Hard Day!!! Chloe Jan 27 2016 3:42 pm Love your performance in Hard Day!!! You are the evil personified in this rogue role! Huge talent, charismatic, and handsome to boot!!! Huge fan! Sara Jul 28 2014 7:23 pm Bad acting on beyond the clouds.very surprised that he played quiet few movies last few years. wisa Feb 10 2014 2:45 am I first saw him in chuno...then in tree with deep roots now I want to see everything he is in. I find him very attractive. tp Apr 11 2013 9:03 pm When I first watched "my love, my family", I wasn't sure if you were the one in "a man called God". However, your acting is recognizable. I couldn't believe my eyes when seeing you've lost so much weight. It was such commendable. Yeah, you look much much better in my love, my family. Just wonder how much weight have you lost so far and what's your goal? Plz keep up good work. Best wishes always! Kat Jun 09 2012 9:04 pm Just saw a vid from Nameless Gangster. He's looks to have lost even more weight. My big teddy. :( Hopefully, he'll get bigger roles cuz I love his acting. I read in an interview of his that he was from Minneapolis, Minnesota. Usually when someone is born one place, but raised in another it's stated. I wonder which is the case Jin-woong. ikr...the first time i saw him was in Don't Ask Me About the Past and then in Chuno. i thought he looked familiar when i was watching Deep Rooted Tree. no...really...whoa! was my exact reaction when i looked him up to see who he was. he's a great actor in everything i've seen him in. keep up the good work Jo Jin Ung!! jules Dec 10 2011 5:01 am loved him in "flames of desire"!